Here we are into the New Year – welcome back. We hope that you were able to enjoy some R&R over the Christmas/New Year break. 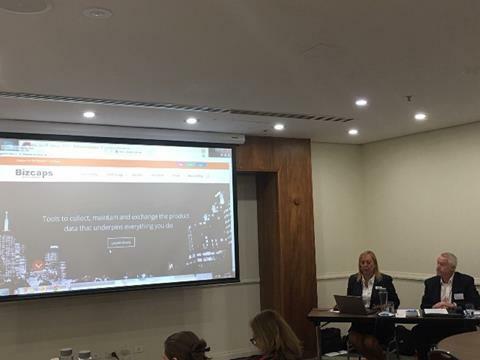 The PIF team at the AFGC is looking forward to another busy year and we hope to engage with as many of the PIF user community as we can this year. Please don’t hesitate to contact us with any queries big or small – we love a challenge. 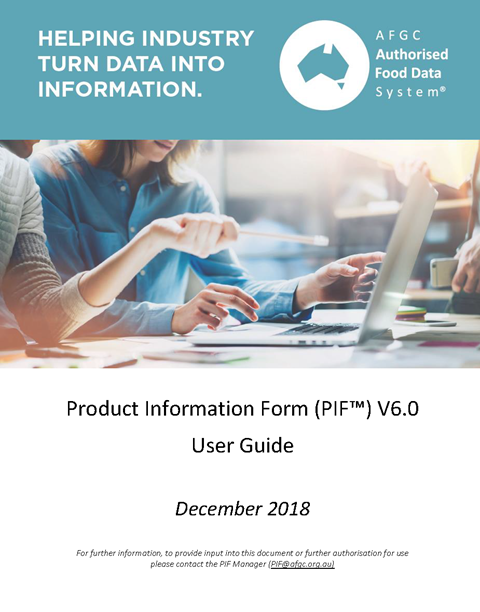 In December the AFGC released the PIF V6.0 User Guide. The Guide is intended to provide assistance and clarify the information to be provided in each section of PIF V6.0. The User Guide has been updated by the AFGC as a resource for the food industry and other stakeholders to support the Product Information Form (PIF™) V6.0. This version replaces the previous publication which was issued in May 2012. The AFGC has also released an updated version of the PIF V6.0 Q & A document. Both of these documents are available on the AFGC PIF V6.0 webpage free of charge. 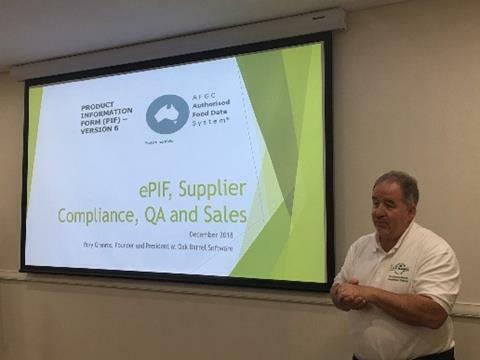 In December 2018, the AFGC hosted two half day training sessions – Melbourne and Sydney to provide an overview of PIF V6.0 and demonstrations from the three PIF V6.0 Vendors. 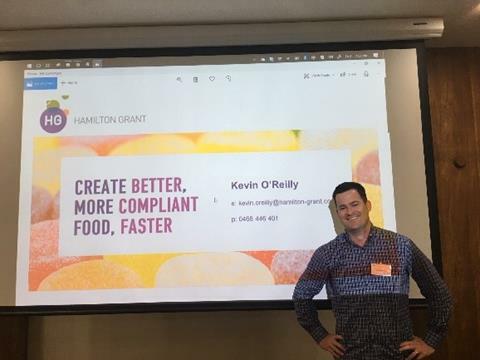 Over 60 participants attended the training sessions taking the opportunity to familiarise themselves with each of the portals and to ask questions of both the AFGC and the Vendors - Hamilon Grant, Oak Barrel and Bizcaps. A copy of the AFGC presentation is available on the PIF V6.0 webpage. The AFGC will be offering further training in 2019 – keep an eye on the website or subscribe to the PIF email user group to ensure you don’t miss out. At present the AFGC is testing the messaging protocols with the Vendors. This involves the Vendors sending test PIFs between the portals to ensure they are able to send and receive PIF V6.0 data. While this is going on the AFGC has “locked down” the PIF V6.0 Data Dictionary - we are not able to make any changes to the data dictionary during this time. If you wish to request any changes to PIF V6.0 please visit the AFGC website and complete a change request form. Your request will be logged and addressed once we have finished testing the PIF exchange process with the Vendors. We expect this to be in Q1 of 2019. The AFGC recognises that the move to PIF V6.0 will take time and that PIF v5 will continue to be used in the meantime. However, it is worth restating that PIF v5 does NOT provide the data needed for full regulatory compliance and it has not been updated in line with PIF V6.0. The AFGC is not mandating a transition period and recognises that each company will have different needs and different levels or resources to facilitate the transition. It is up to your business to plan and implement your transition to PIF V6.0. You will need to talk with your suppliers and customers about their needs as part of your transition planning. The AFGC PIF Vendor partners have continued to work on the delivery of their respective portals. Each of these companies has information about their respective PIF portals available on their websites. Please click on their logos below to take the opportunity to review their websites and contact them with any questions about the portals. AFGC will continue to provide support for the PIF via PIF@afgc.org.au. Please use this email for any queries you have in relation to the PIF. To be added to the AFGC PIF email user group please send an email to PIF@afgc.org.au. The AFGC Authorised Food Data System® is a registered trademark of the AFGC. PIF™ and ePIF™ are trademarks of the Australian Food and Grocery Council.